The spa centre of the sister hotel is also accessible for guests of the Hotel Alfa Zermatt for an entrance fee of CHF 15.00 per person and day. You can also make use of the hotel's transfer service from and to the train station at CHF 2.50 per person and way during the day. Pets permitted at CHF 10.00 per day and pet. If cancelled or modified later or in case of no-show, the full amount will be charged. -If cancelled up to 14 days before date of arrival, 20 percent of all nights will be charged. -If cancelled up to 7 days before date of arrival, 50 percent of all nights will be charged. -If cancelled up to 3 days before date of arrival, 80 percent of all nights will be charged. We loved staying at the Hotel Alpha Zermatt. It was close to the train station, We had an incredible view of the Matterhorn from our room and the breakfast was wonderful. Would definitely stay there again! Very cute place in the heart of Zermatt. The staff was very knowledgeable about the hikes and had tons of recommendations and advice for me, which was absolutely perfect. The person who checked me in also remembered me the next day and went as far to offer coffee or bread when she didn't see me at breakfast the next morning. Loved my stay. Highly recommend staying here. The room was small but as advertised. 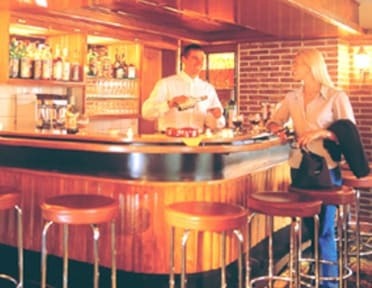 The staff was extremely friendly and it was easy to get to from the zermatt train station. Breakfast was served in the morning with plenty of options. There was one bathroom and one shower per floor of the complex. My only complaint was that I was woken up in the morning by somebody working and banging on the side of the building right outside my room at eight in the morning. It was very frustrating. As others have said, this isn’t a hostel per se, but rooms at the older building of the Hotel Metropole. Can’t really beat the location, and the staff is friendly and helpful. Breakfast is at the Metropole’s restaurant next door, and is great. Hard to think of better value for momey in ‘downtown’ Zermatt. The staff was incredibly friendly and very helpful. They made the stay so enjoyable. Yvonne and Stephanie were amazing. The breakfast was next door at the sister hotel and a wonderful breakfast. I would stay there again. The great thing was waking up to go outside and have this fantastic view on the hotel patio. This place is great if you are looking for solitude, it does not have a youthful hostel environment where you will meet friends. The breakfast is great, free from the hotel next door! I also enjoyed using the spa. Overall great location, great staff. 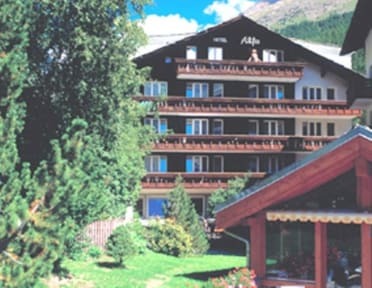 Hotel Alfa is a quaint lodge in an excellent location, right in the centre of Zermatt but tucked away from passing crowds. It has a slightly dated feel about it but this doesn't matter as it is well run and kept scrupulously clean. The single rooms are small - just 7 sq m (!) but fine. Alfa nowadays seems to serve as a kind of budget (by Zermatt's pricing anyway!) annex to the Metropol, at which Alfa guests get a buffet breakfast included (excellent with table-served fresh coffee). Recommend! No frills and a little dated but, perfectly adequate. The staff are wonderfully nice and helpful. The free breakfast buffet is amazing with great selection and a view of the Matterhorn. Good free breakfast in the morning. Room was a bit dingy, dark, and old, but in a great location!